FOM London Skincare didn’t impress me. Not at first. I’d received a 15ml sample of their Hydra Plump Serum in a LoveLula Beauty Box and found it completely useless. It supposedly has exceptional hydrating and plumping power but the consistency was so diluted, I thought it was mere water and I couldn’t tell what it did for my skin. It didn’t help that the product came uninvited, pitting itself against my favorite stash of hydrating serums. 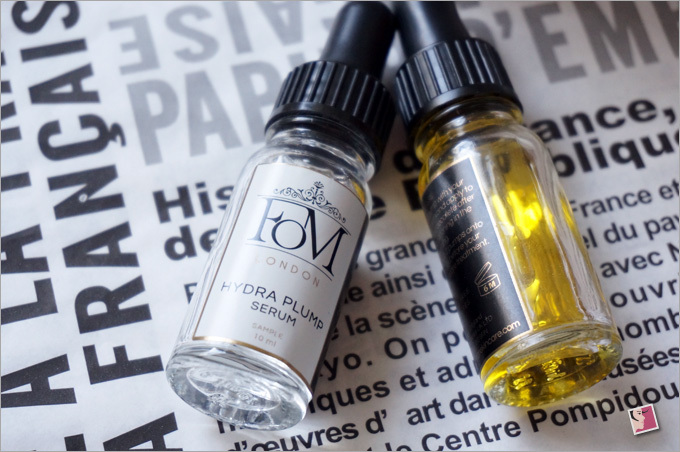 To put it bluntly, FOM London Hydra Plump Serum had no chance to win my heart. Right after using the serum the second time, I put it away, thinking I’ll never lay hands on it again. But that thought didn’t last for long. 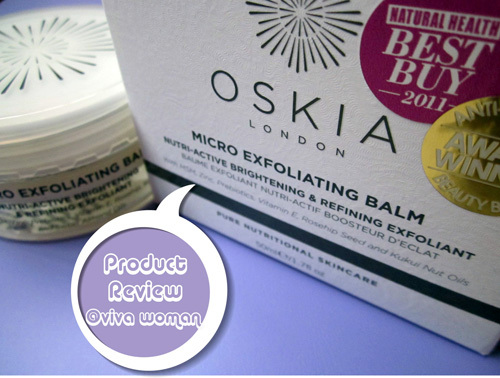 A couple of weeks later, I received another product from the brand again through LoveLula. 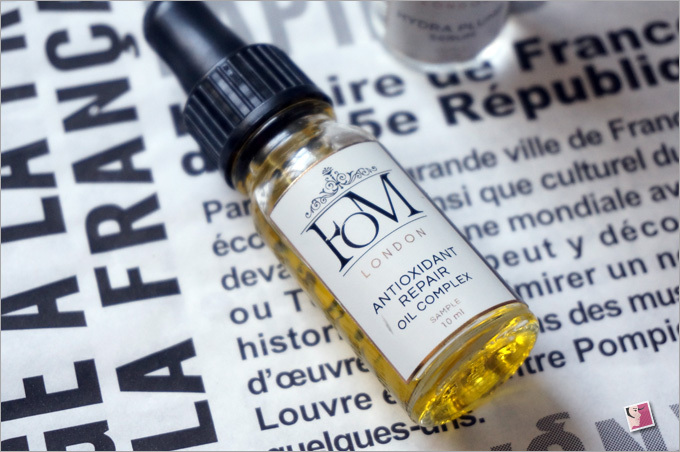 This time, it was the FOM London Antioxidant Repair Oil Complex. Given my weakness for facial oil, I immediately gave the product a go. That was when I remember the Hydra Plump Serum and decided to use both products together. You see, I’ve always use facial oil with a face mist or toner. It makes application so much easier and my skin stays hydrated for longer period too. Since the Hydra Plump Serum is so watery, mixing the two made perfect sense. I also realized that the instructions call for that combination: mix one pump of Hydra Plump Serum with one pump of Antioxidant Oil Repair Complex to give your skin extra nutrient boost. I liked the combination and soon, I was using both products consistently every morning after two hydrating serums and before my sunscreen. 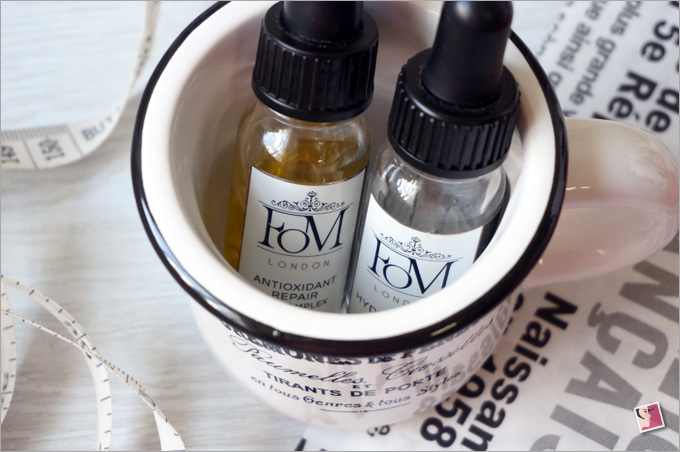 Now before I launch into my review, many of you probably want to know more about FOM London Skincare. I don’t think many people have heard of this brand. FOM London hails from the United Kingdom and its acronym means Freshness of the Morning. 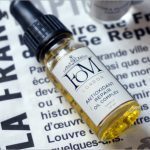 To live up to its name, FOM London handcraft their serums and lotions in small batches so that customers always receive fresh products that are well preserved. The brand also believes in using 100% recyclable packaging and never test on animals. All in all, they have eight facial products that do not contain generic fillers and toxic chemical ingredients. Instead, they contain a powerful synergy of pure liquid silk and unique botanicals to deliver results. This serum is described as a triple action moisture boost serum that works to attract, bind and prevent moisture loss through its water light Silk Hydra Complex, moisture-magnet Pentavitin andÂ natural ultra hydrator Hyaluronic Acid. It’s also formulated with vitamin A and C rich Fig Complex to energize the skin for continuous protection against environmental stressors as well as Niacinamide to support collagen production and promote even, smooth, luminous complexion. Texture of this product is watery so as it’s easier to penetrate into the skin. The serum also has a very soft rose scent as it contains natural rose essence. Rosa Damascena (Rose) Water. Aqua (Water). Glycerine. Hydrolyzed Silk Protein. Sodium Hyaluronate. Niacinamide. Saccharide Isomerate. Faex (Yeast) Extract. Vaccinium Angustifolium (Blueberry) Extract. Fiscus Carica (Fig) Fruit Extract. Phenoxyethanol And Caprylyl Glycol. This skin-repairing facial oil is an antioxidant concentrate of skin softening and hydrating plant oils that are abundant in vitamins, minerals and omegas 3, 6 & 9. It promises antioxidant protection, photoaging repair, skin lifting, and firming. The oil complex includes a unique mineral rich Manketti to support the skinâ€™s natural mechanism to restore its balance whilst essential fatty acid infused Melon seed oil promotes the production of collagen and elastin. A fusion of Marula, Grapefruit and Pomegranate works to boost skin natural defence against daily environmental stresses thus reducing fine lines and wrinkles. 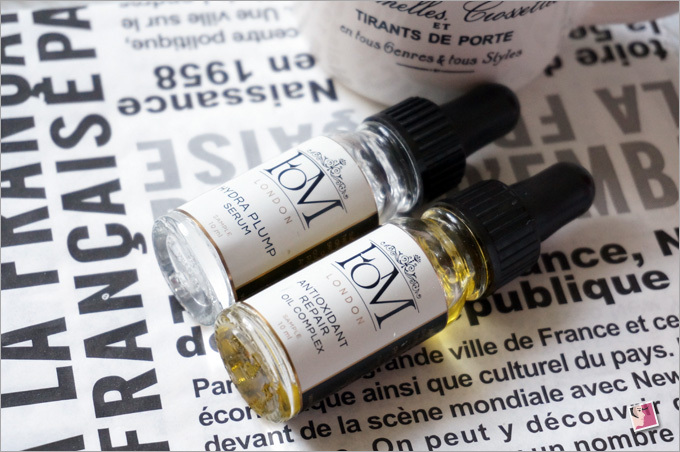 Texture of this oil is very light that allows it to be absorbed easily into the skin and it comes with a soothing Geranium scent. What I found interesting was its color is so “bright”. I couldn’t help but think of sparkling gold each time I use this product. I also couldn’t help but wonder if the product is highly processed. I like these two products together than apart. Like I said, I wasn’t too impressed with the Hydra Plump Serum initially. Perhaps I was too quick to judge but I really could not tell that my skin was more hydrated despite its triple action moisture boost abilities. But it certainly complements the Antioxidant Repair Oil Complex very well. The duo makes my skin look more plumped and I like that they are lightweight and fit well in my current skin care routine. I really wouldn’t mind using them for a bit longer. However, while the products are skin-friendly, their prices ain’t pocket-friendly since they’re positioned as luxury skin care. Given that fact, I just have no compelling reason to get them. I would suggest that anyone who is interested in these products to do a bit more research before committing. Perhaps you can also give their Discovery Set a trial. The set costs Â£45 and includes five products: a Hydrating Anti Pollution Cream Cleanser, an Anti Pollution Skin Supplement Essence, a Hydra Plump serum, an Antioxidant Repair Oil Complex, and an Antioxidant Hydra Firm Cream. I might give their Discovery Set a trial next time. Who knows…FOM London Skincare may just be the next cult brand on every skin care addict’s wishlist. Already, they have won a couple of beauty awards. Anway…if you want to check out more about the range, look the brand up at LoveLula. Purchases above Â£10 can enjoy free international shipping…a good time to shop since British pound is weakening. I am now more curious about the 2 hydrating serums! Do write another post about your daily routine, it’s been a while…..
Haha…yes, it’s been awhile. I’ll try.